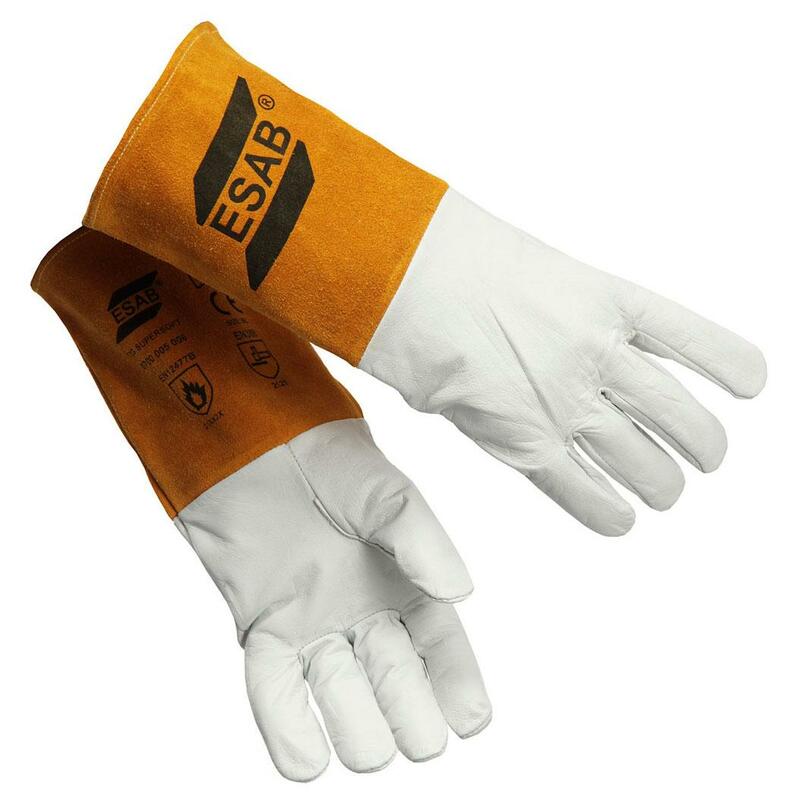 ESAB exclusive Tig welding gauntlet made from high quality sheepskin with full Kevlar stitching. Features gun cut straight thumb, cow split 13cm cuff, wraparound 1st finger for increased dexterity, extremely comfortable, dexterous and durable. CE approved to EN12477 & EN388 Cat 2.